Apple unveiled this week a major new update to its mobile operating system. Each year Apple holds its WWDC keynote, where the Cupertino-based giant lifts the veil on new versions of its mobile and desktop operating systems. This year has been no different, and during the World Wide Developer Conference held earlier this week, Apple announced a new version of OS X called Yosemite, along with a new version of iOS – specifically iOS 8. What made this year’s WWDC more special than the previous keynotes is the fact that, in Apple’s vision, iOS 8 represents the biggest release since the launch of the App Store. One of the biggest features implemented in iOS 8 which will definitely catch the interest of Mac users is Handoff. In essence, Handoff is an expansion of AirDrop, which allows iOS 8 devices to interact with the new version of OS X, dubbed Yosemite. Through Handoff, OS X and iOS users will have the ability to share numerous types of tasks and data between the iPhone and the Mac, including files, phone calls, messages and more. Apple has also announced the new iCloud Drive, which will be available not only on OS X Yosemite, but also on iOS 8. In a nutshell, iCloud Drive allows users to sync application files across all compatible Apple devices. A more detailed explanation on how this feature works would be that the user can start an application, launch the iCloud Drive panel and open a file that is originally stored on a different app. Once the file has been edited/manipulated by the user, the file is then stored back to its original application/location. In other words, iCloud Drive is pretty much Apple’s response to DropBox and Google Drive. Another very exciting addition to iOS 8 is widget support. Indeed, after many years of requests from iOS users, Apple has finally decided to implement widgets in iOS. However, unlike what you get on Android OS, the widgets in iOS will be implemented in the Notification center, not on the home screen. Speaking of notifications, iOS 8 brings a handful of new features and improvements in this area. The new notification system now shows a pop-up at the top of the screen, which can be opened, ignored and/or replied to, without having to close the application that you’re currently running. iMessage has also been revamped, and it now borrows a few pages from WhatsApp’s book. As such, iMessage now allows the user to send audio and video messages from within the application. The email client received a number of improvements as well, and users will now be able to easily discard a message with just a simple swiping gesture. Moving on to the native keyboard, iOS 8 brings a number of improvements in this area as well, including better text and touch prediction, improved algorithms and (hold on to your hats! ), support for third-party keyboard applications. As a result, we expect apps such as Swype and SwiftKey to be soon available on both the iPad and the iPhone. 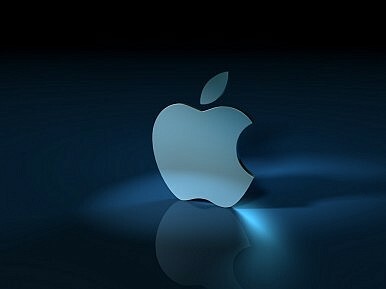 Earlier this year there were a large number of rumors indicating that Apple will focus on its health application with iOS 8. Although the company has indeed expanded the health application’s functionality, the hype might have been overdone. Still, iOS 8 comes with what Apple calls HealthKit, basically an app that gathers all the data and information collected by the device’s health tracking apps into one place. In addition, Apple has also teamed up with Nike and the Mayo clinic, and according to the manufacturer, the HealthKit app will be capable of communicating with Mayo whenever the user’s vital signs are alarming. In turn, the clinic can contact the user in order to determine his or her health status, and whether or not the user is in need of medical assistance. Interestingly, Apple has also promised a large number of changes in the App Store. As such, developers will be able to offer App Bundles, and they’ll also have the ability to demonstrate their products through videos, much like they can on the Google Play Store. More so, developers will be able to invite users to closed beta programs. Moreover, the new App Store will implement “Family Sharing” – a new feature that allows up to six family members to share iBooks and various iTunes and App Store purchases. Since WWDC is a “developer conference” after all, it’s pretty obvious that Apple has shed more light on the new changes brought to the software developer kit. Perhaps one of the most intriguing changes is that the company has opened up the Touch ID to third-party developers, which should lead to a number of interesting applications in the future. In addition, Apple has introduced more than 4,000 new APIs, of which a considerable number will be associated with new technologies for game development. Finally, we should talk about availability and launch dates. Long story short, iOS 8 will be officially released this fall on the iPad 2 and up, the iPhone 4S and its sequels, as well as on the iPod Touch 5. A developer beta was released earlier this week, so if you are part of the developer program then you can already take the new OS for a spin. What are your thoughts on iOS 8? What features do you like the most, and has this upcoming release met your expectations based on these details that have been made official during WWDC? Let us know in the comments section.